If it seems like you have a bunch of messy files and you have no idea about what step to take next, then you need to consider getting a database. The database will help you in storing and managing your files with the use of various commands such as SQL statements. With the use of the database, you’ll be able to organize your files according to clusters. This is called “database clustering”. How is database clustering relevant to the database management system? The database cluster is a program in a database management system that provides users the opportunity to share or keep the files exclusive to themselves. The database cluster, particularly the SQL cluster, was developed in 2004 and was an added feature to the SQL database management system. Database cluster is designed for high-level performance, and users can ensure that this program has a linear scalability. A database cluster has several features that will both give you some advantages and disadvantages. The database cluster has the ability to replicate any shared data. The database cluster utilizes a synchronous replication that allows the data to be copied in multiple nodes upon writing the data. 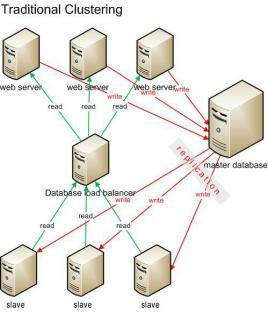 In a database cluster replication, the two copies or replicas can be stored either one at a time or at the same time. The database cluster also has the ability to store data in partitions. This is called the “horizontal data partitioning”. With the database cluster, all data will automatically be stored in several data nodes with the system. The database cluster can also be stored either in the disk or in memory. This is called “hybrid storage”. The data are then stored in memory, while the data is written in the disk asynchronously. This is because of the database cluster’s ability to replicate. In the event when all installations of hardware and software are perfectly in place, the database cluster will not need any shared disk because there are definitely no room for errors and failures. 1. You will initially log in as a root. 2. Create a directory which will act as your database cluster area. Then you should reassign the ownership to the Postgre account, which comes with the database software. For instance, you can use this command – root# mkdir /var/lib/pgsql/data, root# chown postgres /var/lib/pgsql/data. 3. You can log on to your Postgre user account. In order to start your database cluster, you should place the command, “initdb”. Since the database cluster includes all the files in the database, you’ll need to secure it. The initdb command will therefore restrict unauthorized persons who want to access your data.